Ellen Mahoney is an American who grew up in Tokyo and Singapore. She is the founder of Sea Change Mentoring, a mentoring program for TCKs, and the co-founder of the bi-weekly Twitter chat, #TCKchat. Additionally, she serves as a director on the board of Families in Global Transitions. An enthusiastic member of the youth mentoring field, she has always been a passionate and positive advocate of young people everywhere. When she is not traveling around the world training educators, parents, and employers on all things Third Culture, she is enjoying the great food, people, and natural beauty of California’s Bay Area. I know the classic definition of a TCK (third culture kid) – someone who has spent a significant part of their developmental years in a country outside of their parent’s home country. But you know, today the world is so much more complex and when I think of the term TCK, I like to have a more inclusive perspective, perhaps building in the term Cross-Cultural Kid. When I think of a TCK, I think of someone that has grown up in the international community – perhaps this could then mean the classic TCK definition but could also be people who might have a Mum from Ghana and a Father from Japan who grew up in Sweden… perhaps people who have had a different experience from a classic TCK. To me, a TCK could also be a local attending an international school where they are constantly navigating a huge amount of culturally diverse information. Why is the future of work so important to me? Often times when I think about the TCK community, I often think of it through a work-lens. Because we’ve lived in an international community, we have seen a lot of things that the average person has not seen. It is a privilege that can be challenging at times. The experience of living in an international community gives us certain skills that can under the right circumstances, set us apart form others. Specifically, it can mean that we can be better at solving complex problems, communicating across cultures or even just speaking multiple languages. These skills are increasingly important to the future of work. To me personally, this is important… When I was in my twenties, I realized that no matter what job I had; my employer would put me in positions where I needed to solve problems across cultures. I often found that I was able to find empathy for different stakeholders in whatever work I was doing. I realized the reason I was good at these things is because of my third culture background, I consider that a great privilege and so I’m excited to talk about it. What does the future of work look like to you and what are you building/creating towards that vision? About 6 months ago I did a ton of reviewing current literature to look at the future of work. At SeaChange mentoring, if we are going to be mentoring young people about the future of work, we need to know what that is going to look like. I reviewed a lot of information from psychologists, economists, educators, global governments and leaders of multinational companies and what everyone seemed to agree on included that there is going to be more and more automation in our world. A lot of the jobs that exist now won’t need to exist anymore. I’ve seen a report saying that more than 65% of the jobs that exist today won’t exist by 2025. I think the other thing is that technology is consistently becoming more sophisticated, meaning that we don’t really know what the future of work is going to look like. New jobs, new roles that we cannot even conceive of now will pop up later and we really don’t know what they will be. What we know we need from tomorrow's workforce is adaptable people. If technology is going to be moving so rapidly, the people that will be successful in tomorrow’s workforce will be the adaptable people. We know that we need young people with great soft skills, those are creativity, adaptability, cross cultural communication, keeping in mind the perspective of stakeholders, a global perspective… and we can see that these skills almost exactly mirror the TCK profile. 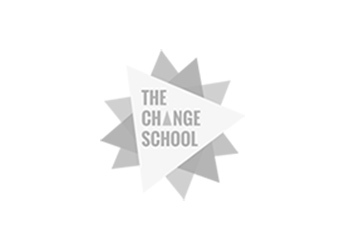 However, TCKs are also in need of wellness skills to help them through their lives (which we address online at the SeaChange mentoring site). In what ways can cultivating a TCK mindset enable individuals to embrace the values revolution to shape the future of work? Firstly, let’s look at cultivating a third culture or global citizen mindset – I think that a global citizen implies a sense of active responsibility. To me, a global citizen has a global mindset and acts on that mindset to improve our world. The other part of the question refers to the values revolution- that’s the idea that increasingly so, younger generations are looking for meaningful work and a meaningful life. A lot of the time we see millenials looking for jobs that make them feel good and also help them do good. So in what ways can cultivating a global citizen mindset enable more individuals and companies to embrace the values revolution to shape the future of work? I think that the first thing that has to happen is that we need to learn how to be intentional TCKs, to be intentional global citizens… how immersed are you in the local culture? Do you know the language? Do you have genuine local friends? Do you understand the government there? Do you understand the religions? You need to embrace these to gain a deeper experience but through this you will be poised more effectively to be an intentional global citizen. I think we all need to start answering questions and doing some real reflections on racism, nationism, classism and the class divides in our community. When we start reflecting on our own privileges in our cultures then I think we can become more intentional and as a result of that, poised and ready to embrace the values revolution and the future of work. I think it’s a really exciting time for third culture kids! If you are interested in becoming a mentor or mentee, do fill out our application form at seachangementoring.com – make sure you apply this summer because we will be starting our new programs. Our mentors are truly amazing people! 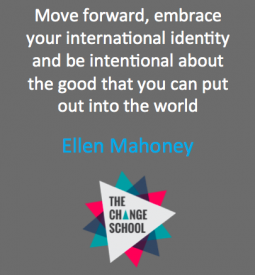 Finally, move forward, embrace your international identity and be intentional about the good that you can put out into the world.